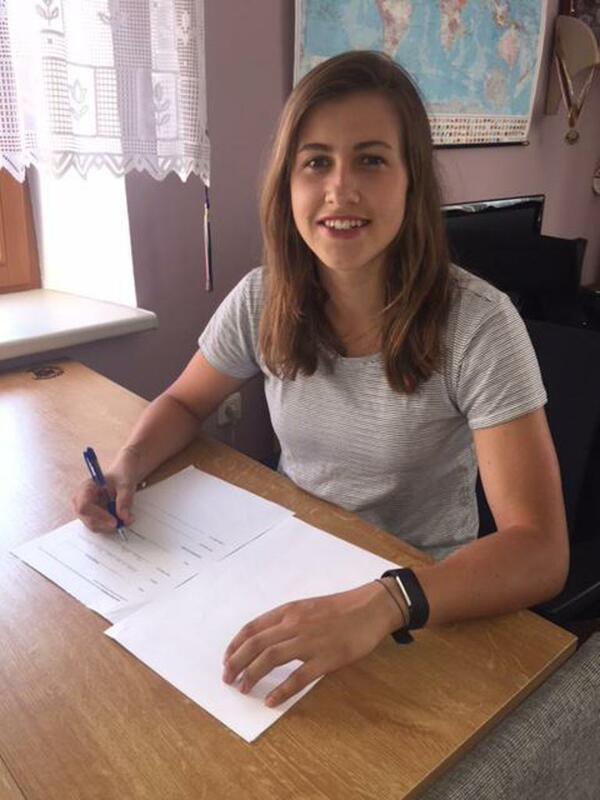 August 2, 2018– The Boston Pride today added an offensive star in Denisa Krizova, a member of the Czech Republic National Team who recently completed her collegiate career at Northeastern as the sixth-highest scorer in program history. Krizova, originally taken 13th overall by Connecticut in the 2017 NWHL Draft, has signed with the Pride and will make her North American professional debut in the 2018-19 NWHL season. Last year, Krizova was ranked 25th on The Ice Garden’s list of the top players under 25. During the 2015-16 season, Krizova played on a line at Northeastern with Kendall Coyne Schofield (Minnesota Whitecaps, U.S. Olympic Team) and Hayley Scamurra (Buffalo Beauts, 2017 Isobel Cup champion, 2018 NWHL Rookie of the Year). That season, she had 20 goals and 39 assists for 59 points in 37 games. For her career at Northeastern, the 5-6 forward was 62-107-169 in 143 games. Krizova becomes the third player from that juggernaut line to join the NWHL. The 23-year-old Krizova has been a part of the Czech Republic National Team program for the better part of the last decade.